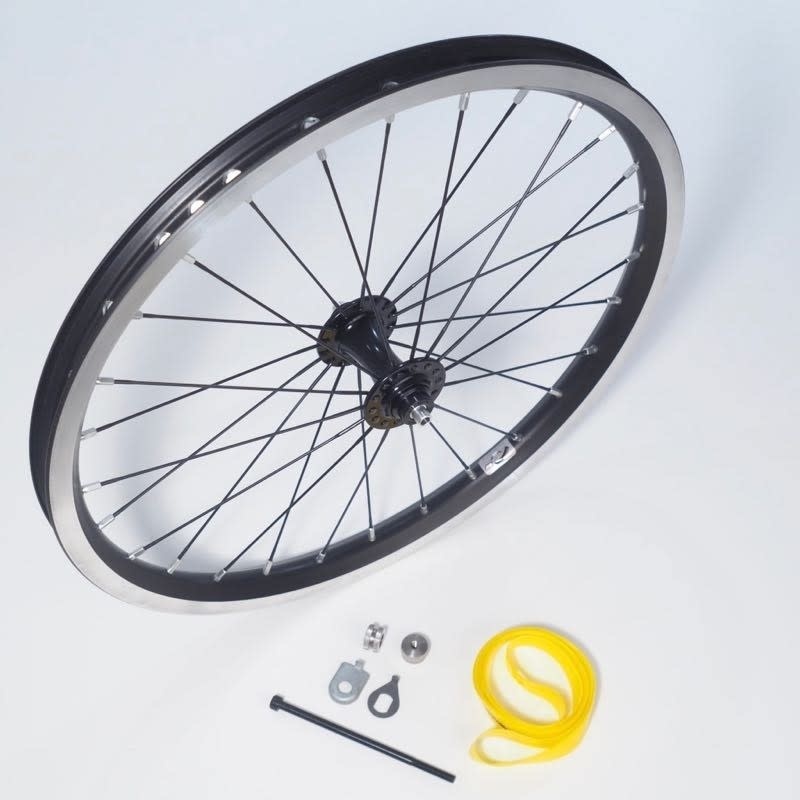 Replacement front wheel for Superlight (titanium) Brompton bikes. This wheel features a double-walled rim and is the stock wheel on Superlight (titanium) Bromptons. 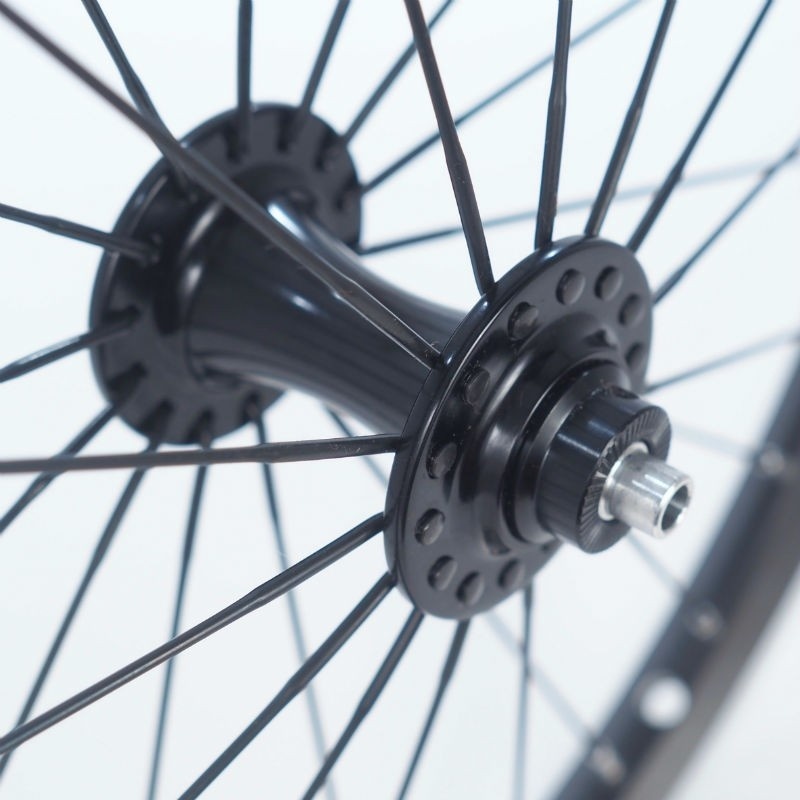 This X-tra Light Brompton Front wheel is a very nice upgrade for any standard model Brompton. 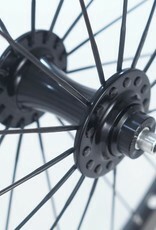 The hub and spokes are a considerable jump in quality.